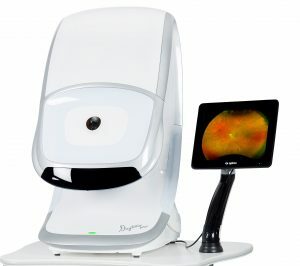 We are pleased to introduce to you the Optomap, a state-of-the-art digital retinal scanning technology that allows our doctors to view the inside of your eye without the use of dilation eye drops. We are the only practice in the area to have this revolutionary diagnostic tool. It gives an ultra-widefield of the retina, viewing the majority of the retina. 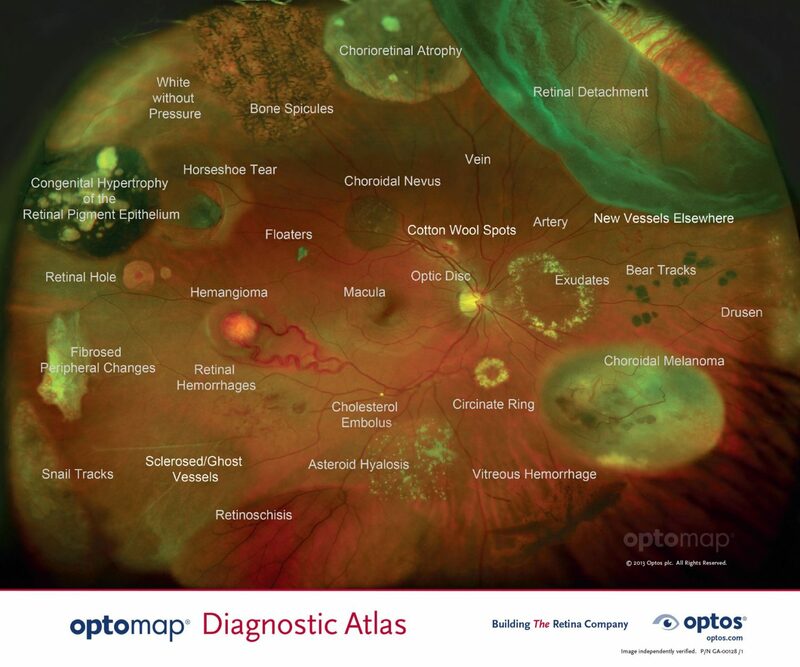 The OPTOMAP retinal exam will allow us to evaluate your retina for problems such as macular degeneration, retinal holes, retinal detachments, hypertension, and diabetic retinopathy. The Optomap allows the doctor to capture a 200 degree high-resolution image of the retina in a single shot — without dilation — in a quarter of a second. It’s easy for the patient, takes just a few minutes to perform, and is immediately available for review with the patient in the exam room. The scanning system is completely safe for children and adults. It allows you the opportunity to view the inside of your eyes and to review the images with your doctor. Dilation, the traditional method, requires eye drops that enlarge the pupil area and blurs vision for approximately 4 to 6 hours. The drops require 30 minutes to take affect and another 10 to 15 minutes of evaluation with a bright light source and a magnifying lens. The resulting clinical evaluation is similar to the Optomap if the patient is cooperative and pupil dilation is maximized. A comprehensive dilation is achieved through 8 to 10 individual inverted views of each retina that is documented on the exam form.